Just because you might not be going on a summer vacation this year, it doesn’t mean the party can’t come to you. Sure, it’s probably impractical to dump several tons of Hawaiian sand in your back yard and head off jet skiing for a day if you live in rural Ohio, but you can still live the beach party dream through your choice of drink – namely, cocktails. Once-upon-a-time, cocktails were reserved for the rich and wealthy drinking in upmarket bars or as a rare holiday treat. These days they are accessible to everyone, thanks to the greater connectivity and trade opportunities around the world. 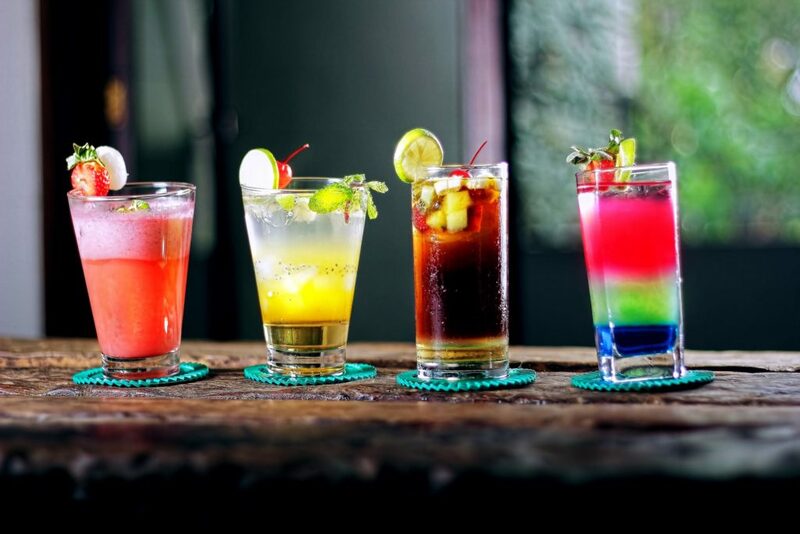 Here are eight drinks and cocktails for you to try at home this summer. If you have spent your life believing that popsicles are just for kids, then think again! You can combine after dinner drinks with desert by taking a glass of champagne and dunking a plum-cherry ice pop into it. It’s not only a genius way to cool down, but it tastes surprisingly good as well. Four simple ingredients combine in one of the coolest drinks of the summer – green tea, orange, agave nectar and a splash of vodka. Not a fan of the Russian spirit? Then you can always throw in tequila instead or skip the alcohol altogether. Either way, its guaranteed to taste great. Exactly what it says it is – sangria but rather than using the traditional spirit of brandy, it is replaced by tequila. Mix up the tequila with fruit and juice and then top it off with Spanish red wine. You’ll soon feel like you are holidaying on the beach in Barcelona. This classic cocktail is sure to cool you off on a warm day. Featuring peach schnapps, vodka and orange juice, it’s perfect even if you don’t have a beach. Take a glass of lemonade muddled with strawberries, chuck in some basil, add a kick of bourbon. Give it a good stir and your have a sophisticated and delightful tasting cooler cocktail. The name Lava Flow may sound like it should be a hot drink, but this is a chilling tropical cocktail bursting with fruity flavors. It combines coconut and pineapple alongside the Caribbeans Best rum and vanilla ice cream. Throw in some scarlet strawberry puree that can explode out of the ice cream and you’ve got a real crowd pleaser. Sunrise punch is a great drink to have any time of day – yes, even first thing in the morning, when the sun rises. If you make the punch and leave the alcoholic element out by providing small shots of rum on the side, then kids can help themselves to the glorious punch and any adults feeling particularly brave can add their own alcohol in as they see fit. The Silk Sheets Cocktail contains strawberries, balsamic vinegar and gin as its base. With core ingredients like that, what can go wrong? Add elderflower foam to the top and you’ve got a tangy, exotic experience.